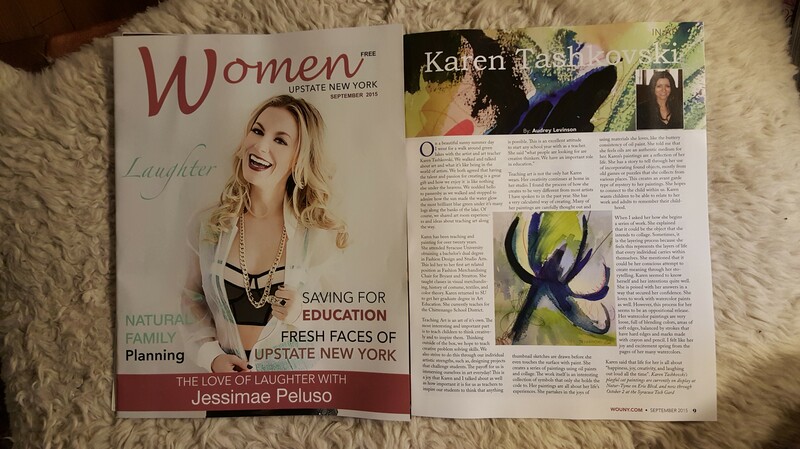 Just picked up my copy of the September 2015 issue of Women of Upstate New York. So excited to be a part of it! A month ago, I spent the day with Audrey Levinson. 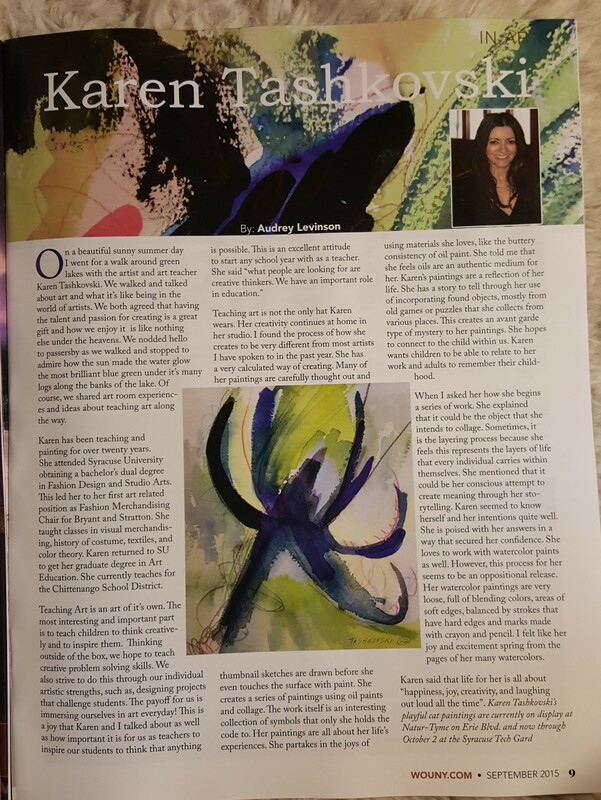 She is an art teacher in the Syracuse City school district, as well as a writer for this magazine. She is also a family friend – we went to high school together (she was my sister’s bestie). Audrey started writing as a tribute to her mother, who passed away a year ago. I really loved spending the day with her and listening to her story too. When I read the article, I feel like it is more about our friendship than anything else. And that feels very special. Thank you, Audrey! Find the article here.